Did the broker claim my money? I had a funeral policy for my mother from 2008 up until 2016. I defaulted and the service provider, the insurance broker told me that they were cancelling it. That was fair enough. My mother then passed away last September and I heard that the broker claimed the money on my behalf without my knowledge? Is it possible? Firstly, please accept my condolences on the loss of your mother. This is suspicious but I suspect unlikely. Firstly, it’s important to understand that there’s a big difference between an insurance broker, who works for you to find an insurance policy that best meets your needs and the insurance company that actually provides the policy. A good broker can be incredibly useful. They have the expertise that most of us lack in understanding all the small print, the terms and conditions, the exclusions and complicated language only spoken by insurance experts. They can advise you on the best product to choose. However, sometimes brokers go bad. You only have to read the newspapers to see occasional notices from NBFIRA, the Non-Bank Financial Institutions Regulatory Authority, the agency that regulates the insurance industry, saying that they’ve closed an insurance broker and warning the public not to do business with them. For example, we’ve heard of several cases where brokers have taken premiums from customers but neglected to pass the money on to the insurance company. This can happen for years and the customer only finds out when something unfortunate happens, they make a claim against the policy and the insurance company tells them that they cancelled the policy ages ago. That’s when they discover that the broker spent the money on beer, hoping that they’d never claim and discover the broker’s crime. However, this is a first for me. I’ve never heard of a broker submitting a claim on a customer’s behalf and keeping the payout for themselves. It sounds unlikely but I’ll contact the insurance company for you. If you’re convinced it’s true, you should also contact NBFIRA and ask them to investigate. I know that the people there will be keen to investigate! I can’t get a loan to pay off my debts! I have a question here, I want to know how this thing of sending names of debtors to ICT works. I’m owing a cash loan and they sent my name to ICT. Now they are starting to take legal actions on me. The problem is that they have blocked me so I can’t have even a short loan to clear them. Is it not double punishment? Is that how it has to be? Please don’t think I’m being rude. You’ll need to forgive me for speaking plainly. This is how things work. If you fall into debt, as you did with this cash loan company, like any other creditor they’re entitled to take legal action against you to recover their money. I’m sure you would do the same if the situation was reversed and it was them that owed you money, wouldn’t you? Separately from the debt collection, like any other company to which you owe money, they’re entitled to register that debt with a credit reference bureau like TransUnion (the newer name for ITC). They’ll record that you owe them money so that other potential lenders can make an informed judgment on whether you’re likely to be a good payer or a bad one. While that debt is outstanding, other lenders can see that you still owe another company money and they are entitled to judge what risk you pose to them based on that information. Again, reverse the situation. If I approached you and asked to borrow some of your hard-earned money and you discovered that I already owed your friend lots of money and had failed to pay her back, wouldn’t you think twice before giving me your cash? My history of not paying my debts would make you think twice about how likely I would be to repay you, surely? That’s the situation you’re in. 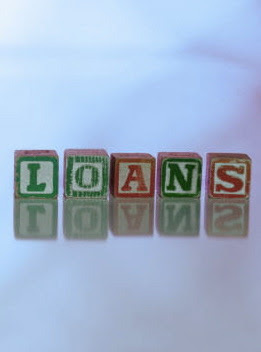 Your history of not paying a debt has made other lenders unlikely to lend to you. Can you really blame them for being cautious? I suggest that you concentrate on repaying the debt to the cash loan company and then see if you can get your finances back to normal. If you like I can also put you in touch with a reputable debt counsellor who can help you do this.